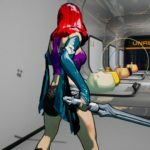 Anime Toon Shading is an advanced powerful cel shading material for VR and Mobile that easily makes your character stylized to a cartoon. 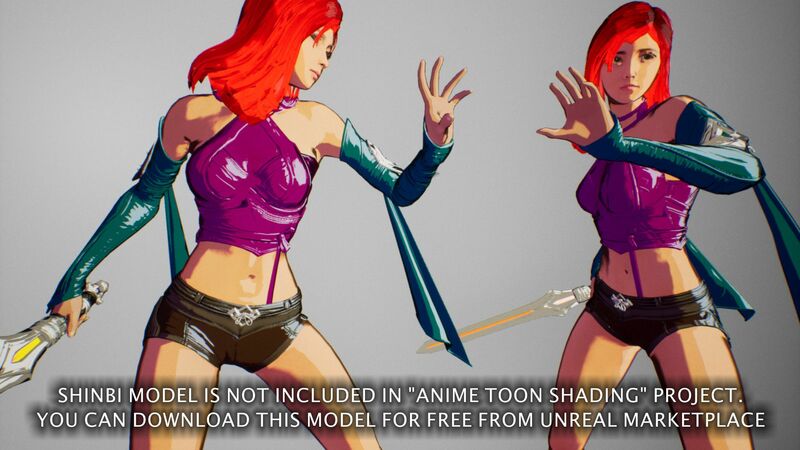 Main references to create Anime Toon Shading was “Gravity Rush” and “Dragon Ball FighterZ” so if you want to achieve this kind of feeling with dynamic cartoon lighting in your game, then this package will be a perfect starter for you. 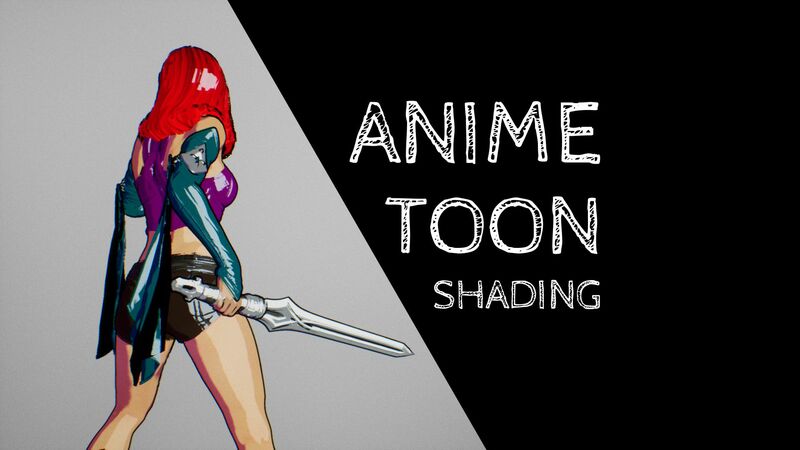 Anime Toon Shading is a post-process independent approach to cartoon style effect, which means it uses geometry based shading model that allows customizing every character on the scene to specific lighting conditions and works perfectly in the forward rendering mode. Package contains a full lighting system that supports single dynamic directional light and multiple dynamic point lights. Perfect choice for VR games as well as mobile. Geometry based shading. No need to use post-process uses, forward rendering mode works in VR and mobile. Easy to integrate with external post-process. Added material function for masking "Anime Toon Shading" in post process "MF_ToonShadingPostprocessMask"
The first version of the package released. 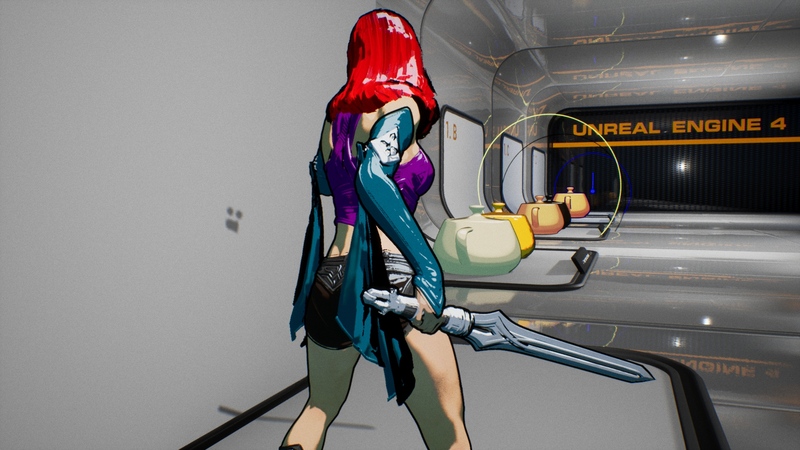 There are two types of packages on the marketplace that supports toon/cel shading in UE4. Post-process based (other packages) and Geometry based (this package). Both have cons and pros and It is important to understand the difference to know with of them chose. A table below shows basic differences and possibilities that will be supported or blocked depending on what you choose. 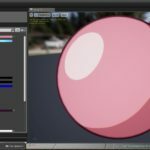 uses final image generated by ue4 to translate scene colors on cartoon stylized image. uses the material system and meshes and is applied per object. All platforms VR/PC/Mobile. Just works, this is the old-school method. Full scene effect in one click. Need to be applied per object/per material. A lot of work to configure materials. Little complicated, need a setup for meshes. Hard to customize shader per characters. Tweaking parameters for one mesh can destroy effect on other. Very functional and useful in setting up character shading. Easy to customize. Just open material and modify shading/ outline/colors/specular. Easy to change visual effect of environment on the full scene. Global tweaking can be done by using shared material instance by multiple materials. Supported UE4 lights. Looks strange when you use more lights than 1 light. Implemented an independent dynamic lighting model. Applied per model as shell mesh. Probably there will be support for post-process shading model in future versions of this package but in current state I’m focused on geometry based shading. Unlit (M_ToonShadingUnlit) – Little slower but allow to cast shadows. Chose the material type that will be used on mesh for example M_ToonShadingLit. Click right and select “create new material instance”. 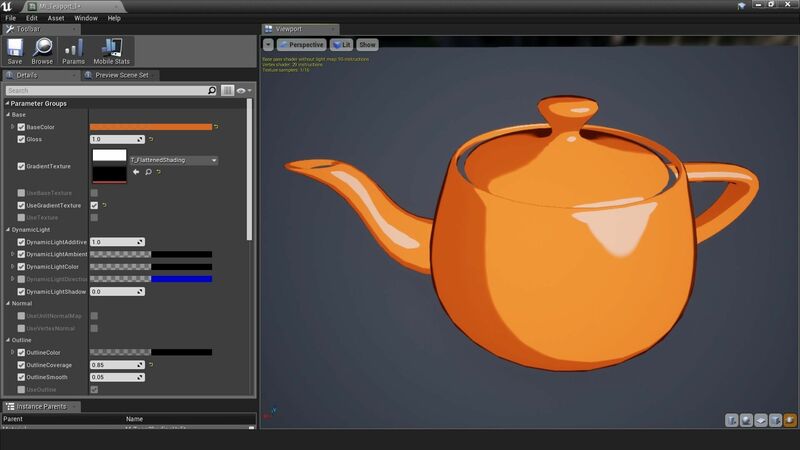 Open material and setup parameters of new material as you like to see an object on the scene. Set created material to your mesh. (UseBaseTexture) texture color multiplied by base color. Gloss effect. Changes the direction of shadow to the camera. (UseGradientTexture) Gradient texture used for shadow. 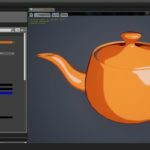 Allow changing stepping mode of shading. Scale normal map vector. Active only in UseUlitNormalmap mode. Texture used as a normal map. Color of the outline. Alpha channel contains width. Smooth edge of the outline can be used as fresnel too. 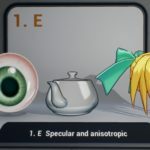 Color of specular. Alpha channel used for specular size change. 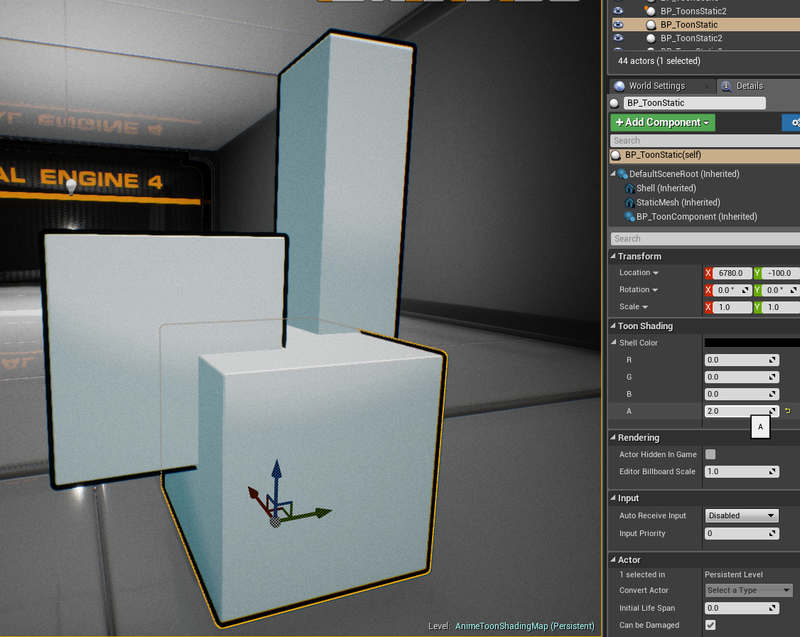 Directional light can be used for setting up global lighting that will be affecting on all objects on the scene. Just drag and drop BP_ToonDirectionalLight on scene and setup parameters. Light Color Color of direct lighting. Skylight ambient Color of indirect lighting. Tick Interval Frequency of updating the values. If light will be static then set to -1. Anime Toon Shading supports multiple point lights that are combined into second directional light data and applied to the base shading model. That functionality can be used for light flashes like explosions, some additional lighting on the scene and shadowing in darker places where the directional light should not affect on the object. Setup default mesh in the blueprint. 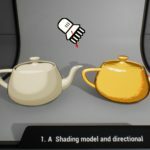 Set Toon Shading material on the mesh (Get Started section describes how to create new material). Drag and drop created actor to your level. Intensity Light color and shadow multiplier. Shadow Color color of indirect lighting. Position The position of the light. Scale (radius) radius of lighting. Base Light Weight How base directional light color affects on meshes in this light. 0 means additive, 1 means override the base light. Base Shadow Weight How base directional light shadow effects on meshes in this light. 0 means override the base light direction 1 for no change. Scene Will be updated automatically after adding light to the scene. Drag and drop BP_ToonScene to your level. 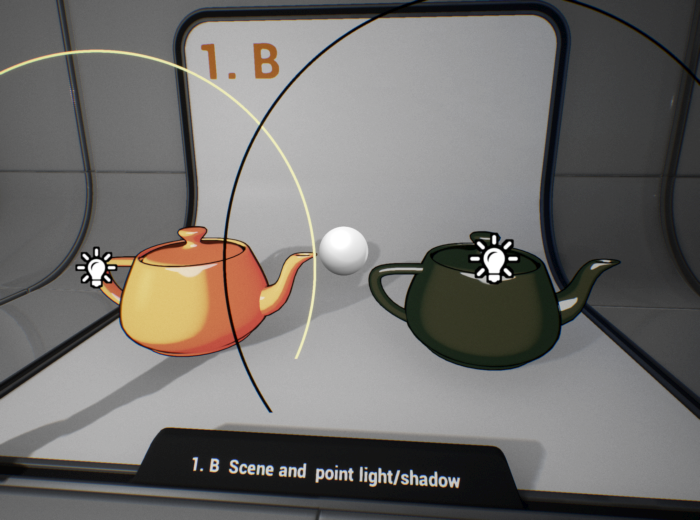 Select BP_ToonScene and add Lights and Actors that should be managed by the lighting system. Sometimes there is no possibility to inherit example actors (BP_ToonStaticMesh, BP_ToonSkeletalMesh, ThirdPersonCharacter) that contains the implementation of dynamic lighting. 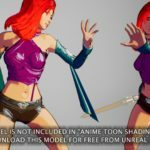 Fortunately “Anime Toon Shading” is very extendable, you can modify your own character to be affected by dynamic Toon Shading lighting as well. It’s a bit complicated but believe me, I did everything I could to make it user-friendly. Add new component BP_ToonShadingComponent that will be used to communicate with the scene. 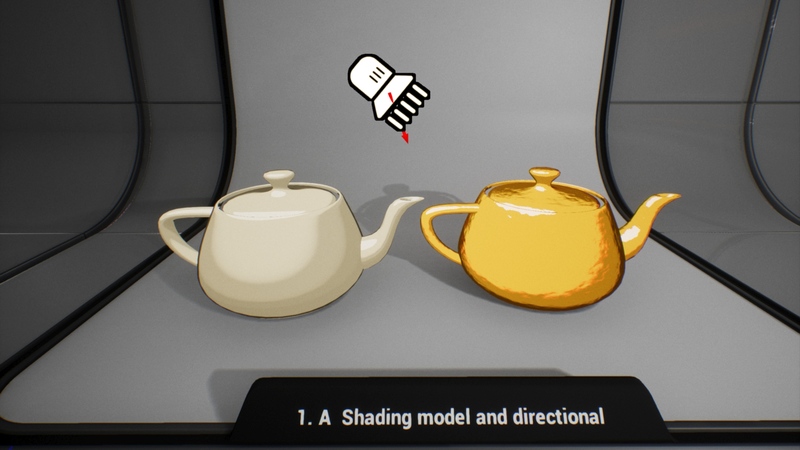 Add new function Toon Shading that will be evaluated to update lighting on the object. Functions->Add. Add ApplyShading evaluation for every mesh in pawn that should be affected by lighting. In this case, Character contains one Mesh. Call function in the constructor to activate lighting on start. Implement ToonShading interface. Open Class Settings and and add interface BI_Toon_Shading to list. It’s good practice to combine two types of toon shading system for example by using “Anime Toon Shading” for characters and post-process material for the environment. 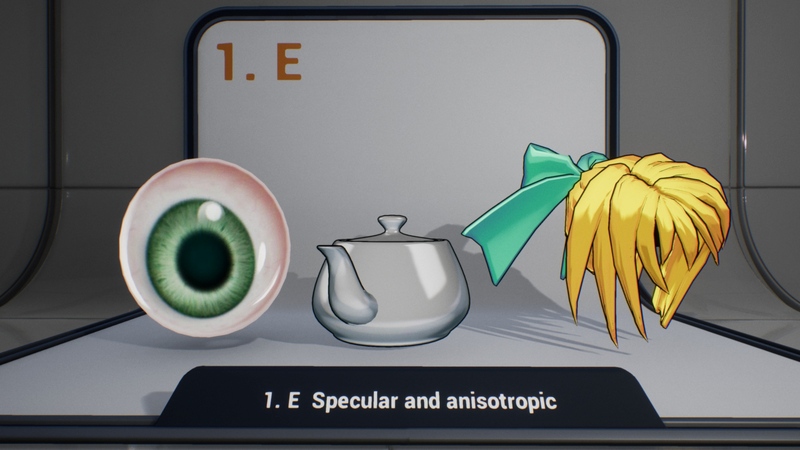 Post-process based toon shading should support excluding the shading materials that using “Anime Toon Shading”. Generally in this kind of problems full-screen mask that tells to post-process shader where to live pixel not changed. It can be implemented easily by using a custom depth stencil mask. 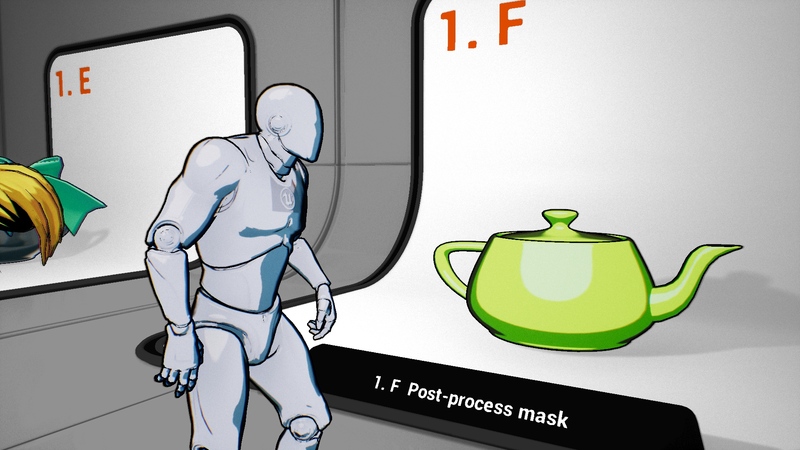 This is a simple example of how to integrate this package with post-process material. Set up your project to use the stencil buffer. This functionality is required because we need an additional buffer to mark pixels rendered by AnimToonShader. Remember: It is just an example configuration of the mask. If you already using custom depth stencil for outlines then you should reserve one bit for “Anime Toon Shading” masking. Outline effect for forward rendering can be realized by creating a second expanded mesh with front face culling (rendered from inside). 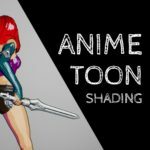 “Anime Toon Shading” contains tricky material that can do it for you. You can find an example of this part of the documentation in Demo/Characters/ThirdPersonCharacter blueprint. 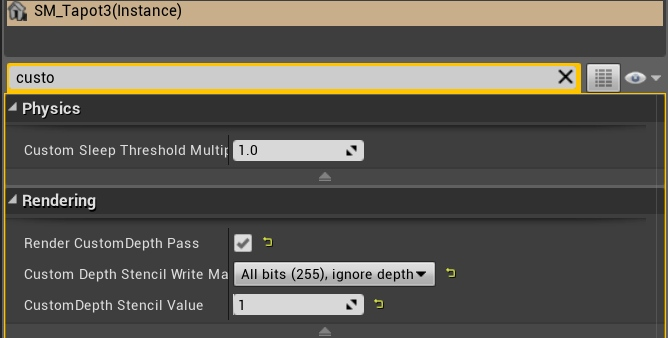 Duplicate mesh component in your character and rename to Shell. 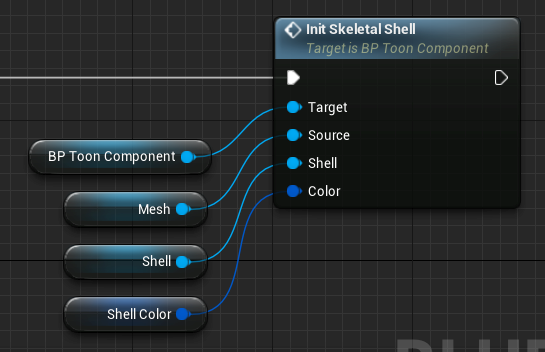 You can add attribute ShellColor to your blueprint or use MakeVector. Alpha value in this vector is responsible for outline width. 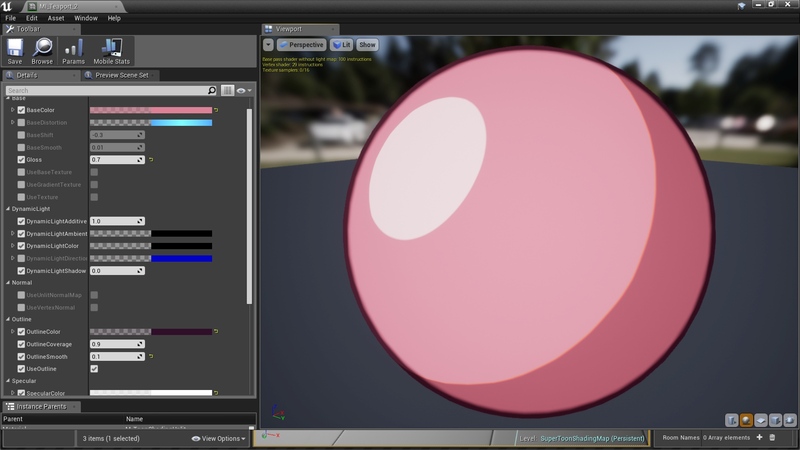 The shell material support vertex color alpha multiplier. You can locally control the width of the shell by painting (alpha channel) on the vertex color of mesh. It is a cool feature used in the current generation games. The reason is simple – it is problematic to implement a fully functional outline effect using only a data in the mesh. Outline need to be simulated by external mechanisms. It will make your shading look more smoothly witch soft transition on edges. A detailed description of the method can be found in chapter “Outline shells”. Dynamic lights? how it works in forward and deferred? It is based on the observation that toon shading don’t need to be based on realistic lighting model. Anime Toon Shading material supports two directional lights. First one is global directional light shared by all objects on the scene. The second one is dynamic light calculated per mesh as the sum of closest point lights. The tricky part is to combine this two lights in the material to not destroy the shading on the mesh. Does it work on mobile and VR? 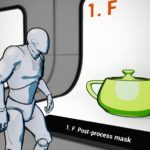 Forward rendering is supported? Yes, it should work fine on this platforms. The standard unlit version of the material uses about 110 instructions (green complexity), cheapest can be lowered to 70 by setting flags useSpecular=false, useOutline=false, I don't have the mobile device to test so it'is hard to be sure but the materials are optimized for mobile. Nope self shadowing is not available because this method uses material emissive color. However you can add dynamic light that will absorb directional lighting to simulate walking into shadow. Receiving shadows is supported only in forward rendering. 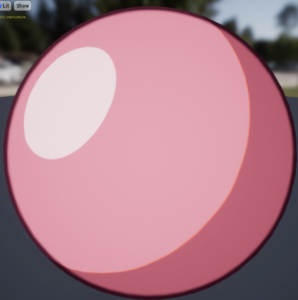 This shader works with post processing? This implementation is geometry based. 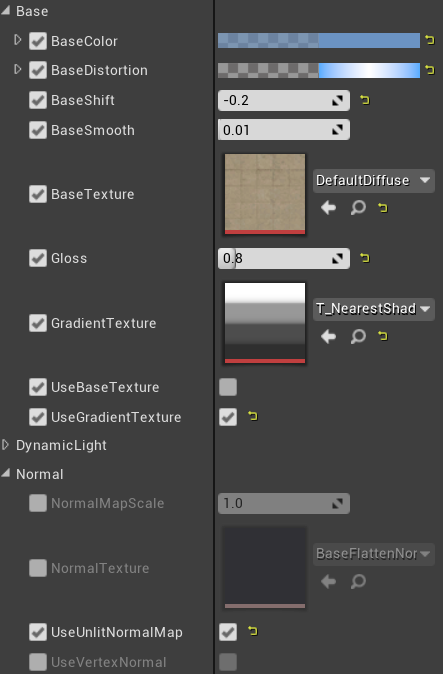 Material function can be injected in any material you want to add functionality of this shader. For full scene toon shading you should use another package.